Put Pokies.com casino in your pocket and you’ll never be bored again. 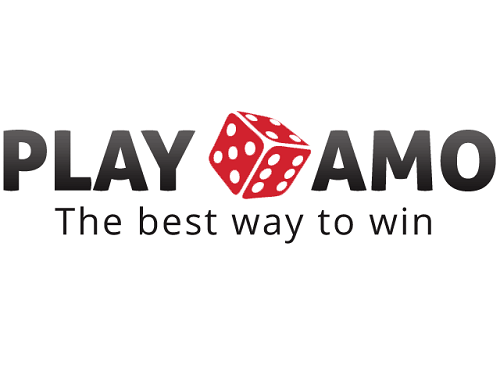 Start by playing completely free – no deposit required! By registering at Pokies.com, you’ll get access to more than 2000 top-quality online pokies and casino games. You can even play mobile live dealer games, which bring the action of a real-life casino onto your phone or tablet. Registering is free and takes less than a minute. You can play all the games for free and for real money. You’ll receive a no deposit bonus for registering. This is the perfect way to get you started at a #1 mobile casino. Playing with your phone or tablet couldn’t be simpler: log in and play. You can play all the games for fun and for real money. Where ever you are or what time it is, you can always play a spin of your favourite game. Never be bored again! We wouldn’t be called Pokies.com if we didn’t have the internet’s best reel spinning-action. Log in and play the best mobile pokies by the biggest game developers. These online casino games offer the best gaming experience possible on your phone & tablet. We have it all, from big-name Hollywood games like Terminator 2 to our players’ permanent favourites like the pokie Foxin Wins and Starburst, the most played mobile pokie ever created. To make sure our pokies never get stale we add new poker machines and other new games every single month. You can play free pokie games online at Pokies.com for as long as you like. We don’t limit your free gaming in any way, so you can practice for as long as you like before playing for real. You can play all your favourite casino games with your mobile at Pokies.com. 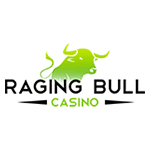 We wouldn’t be much of an online casino if we didn’t have actual casino games available. That’s why we’ve made certain that you’ll get to play real-money casino games with your iPhone, iPad or Android device. Would you like to play a spin of Roulette or test your skills in Blackjack or other casino games online? 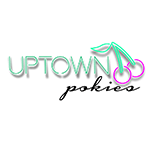 Pokies.com has you covered. You can play mobile live dealer casino games too. When you play with live dealers, you’ll see live footage from a real casino and get to bet on the action. This is Las Vegas in your pocket! You’ll always find plenty of instant scratchie action at Pokies.com. Scratchies are a lot of fun. They are also the perfect game to play on mobile devices, as even cardboard-based scratch cards are the size and shape of a mobile phone to begin with. Adding more mobile scratchies to Pokies.com has been our special focus in 2019. We now have an excellent collection of more than a dozen mobile scratch games, so better limber up that scratching arm. This is how the best mobile pokies look like. They are as good as or better than anything you can play at your local pub. Instead of going out to enjoy great pokies, you only need to pull out your phone or tablet, place your wagers and start gambling! How do I play with my mobile? Login and play – that’s it. Nobody should need to worry about technology in 2019. That’s why we’ve made playing the games really simple. To get started, tap any of the sign-up buttons and register your account. From then on, whenever you’re at a Pokies.com site, tap login and you’re instantly taken to the mobile games. You’ll use the same account for playing with your desktop computer or laptop & your mobile devices. We automatically direct you to the correct version of our casino lobby (mobile or computer version) depending on what device you are on when you login. So to reiterate: you don’t need to worry about technology. Whenever you login, we automatically show you the games you can play with the device you logged in with. How do I play with my Android tablet and phone? Our mobile games are Android compatible. 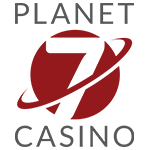 Simply login & play to get a first-class real money gaming experience. There are (by now quite possibly literally) a million different Android devices out there. This makes it a bit difficult to test them all, but here at Pokies.com office we have a huge pile of Android phones and tablets. All modern Android devices fill these criteria. The manufacturer of your device doesn’t matter, our poker machines work equally well on Google (Nexus tablets are especially good), Samsung, LG, HTC, Sony, Motorola, and others. How do I play with my iPhone and iPad? iPad and iPhone are both fantastic devices for getting a top-quality real money gaming experience at Pokies.com. Our real-money pokies and casino games work on all iOS-devices. When you log in at a Pokies.com mobile casino, you are automatically directed to our iPhone and iPad compatible games. All you need to do is to sign up and start playing. The games work with everything from an older iPhone to the latest iPad Air. When it comes to iPhones we recommend using an iPhone 4 or newer (the latest big-screen iPhones offer an even better gaming experience), but the games do work on older models too. We recommend using Apple’s own Safari web browser for the best gaming experience. Do I need to download a casino app to play? No, there’s no need to download or install an app or anything else on your phone or tablet. To play at a Pokies.com casino, sign up and log in. That’s all there is to it – nothing is installed on your phone or tablet. Hint: You can make sure that you’ll find your way back easily by bookmarking the website. Another hint: Or if you rather keep your mobile gaming super private, don’t add a bookmark and simply type www.pokies.com on your browser when you get the hankering for mobile casino action. What casino software providers are available at Pokies.com? We have games from all the major game developers including NetEnt, Quickspin and Betsoft. Experienced mobile casino players are always curious to find out which casino software is used by a certain casino. A Pokies.com casino is unique in this regard: instead of relying on one game provider, we have the best slots and other gambling games from a dozen game manufacturers. The mobile pokies, scratchies and casino games you’ll find at Pokies.com are from the biggest names in the business: NetEnt, NextGen and others. In our humble opinion the best mobile online casino games are made by NetEnt, whose Touch™ technology provides a real-life like gaming experience. To enjoy some of the finest mobile pokies give a spin to Starburst, Motörhead and Gonzo’s Quest. What other devices can I play with? If your tablet or phone has HTML5-support, our games most likely work on your device. Even if you don’t have an Apple or Android device, you can most likely still play at Pokies.com. The games are based on HTML5, not on the older Flash technology. This is a fancy way of saying that our games work on pretty much all modern mobile devices. So if you happen to have a Nokia Windows Phone or a BlackBerry phone, just sign up and give the pokies a spin. Note that if you have a Windows-based tablet like Microsoft Surface Pro, you’ll simply see the normal desktop casino when you login. Here’s how the best mobile games look and play. The game above is Secrets of Atlantis by by NetEnt. The game is powered by NetEnt’s revolutionary Touch™ technology, which makes playing on tablets especially feel exactly like playing a real-life pokie. Secrets of Atlantis is just one of hundreds of mobile online casino games you get to play at Pokies.com. Sign up and deposit. You’ll be playing for real money in less than 2 minutes. To play for real money sign up and login, then visit the cashier to deposit. The cashier processes your deposit instantly and you are ready to play for real money. You can play for real money in any of our supported currencies. This long list of currencies is sure to cover you too. Depending on your country, you’ll find a range of banking methods suitable for you. For example you can use Paysafecard to deposit, UK-based players can use Pay by Phone to have the casino deposit appear on their phone bill and so on. Everybody can of course use a debit or a credit card to deposit. As a new player, you are entitled to a welcome bonus package. This is the best mobile casino bonus of 2019. It’ll give you everything you could want: free bets, a deposit bonus and free spins. You’ll get your first bonus money just for signing up (no deposit required). After you’ve played pokie games with your free bets, you’ll receive a deposit bonus that matches your first three deposits with bonus money. And as if that wasn’t enough, you’ll get free spins too! You can play any games, mobile or desktop, with your bonus funds. The free spins are for Starburst. 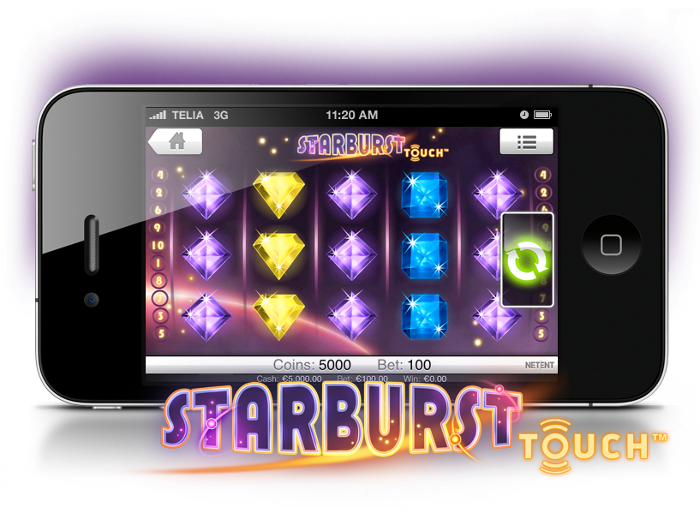 Starburst is simply an amazing game, the most played mobile pokie ever actually. We highly recommend you’ll Starburst with your initial no deposit bonus! If you regularly login or play from your mobile device, you probably already know about the exclusive bonuses players receive when playing on their mobile. The top online casinos offer fantastic rewards to players who join mobile casinos for real money. These bonuses typically include free cash rewards or free spins on your favourite mobile pokies. Be sure to login to your real pokies app as often as you can, as players are usually rewarded for daily or weekly logins. If that is not enough for you, try and become a VIP mobile player and receive even greater bonuses and rewards. Real money casino for mobile android phone devices provide players with the opportunity of joining exclusive VIP loyalty programs, based on how much they deposit and gamble. If you like to spend large amounts when you gamble online, this could be for you. Best Mobile Games: Players can enjoy the same high-quality mobile pokies Australia as they do at normal online casinos. Thanks to the ever-increasing capabilities of smartphones and tablets, there is no difference between desktop casino games and online mobile pokies. Free Mobile Pokies: Players can enjoy free pokies games for mobiles, the same as they do at desktop casinos. Play for free to test games before committing real money. Mobile Pokies Bonuses: As mentioned, there are exclusive bonuses available to players gambling from the mobile app. Mobile Pokies Real Money: If winning real money online is what you are after, you can certainly do this from the mobile casino app. Players have access to all the top online pokies including those with progressive jackpots. Convenience: You simply cannot look past the ability to gamble on the go anywhere and anytime you want! All you need is a compatible smart device and an internet connection and you can gamble anywhere you want.